Sign up for Broadjam today to follow Paige Stroman, and be notified when they upload new stuff or update their news! 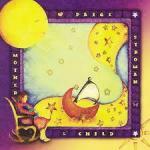 Toddler Tunes to follow up the lullabies! Only available here on Broadjam!! 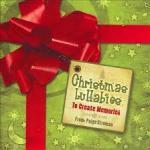 A Christmas lullaby CD featuring original Christmas lullabies by Paige and such loved classics as Silent Night and Jingle Bells. A must for any new parent with a song celebrating "Baby's First Christmas." This is my take on the classic "Silent Night"
An a cappella verse & refrain of O Come Emmanuel. My version of the traditional Christmas hymn "Away in A Manger"
A song celebrating a Baby's First Christmas and looking forward to all the memories the family will make with the new child. 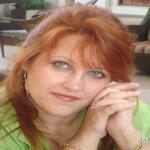 I wrote this song reminiscing about my child's first Christmas. Oh the holiday season seems different. The excitement if felt everywhere. That will last the whole year long. Sounds of carols filling the air. With love and joy to share. And the brightest of hopes shining here. ?Cause it?s Baby?s First Christmas this year. And the cookies we?ll bake. Love growing from year to year. ?Cause Baby?s First Christmas is here. Christmas night will soon be over. But the magic still hangs in the air. And I?ve never been more filled with love. A Christmas lullaby for babies and their families looking forward to what Christmas will be like each year. And watch Rudolph the Red-Nosed Reindeer. Let there be Peace on Earth everyday. Chestnuts will roast on an open fire. Do you hear what I hear? It?s a choir. And Little Drummer Boys drumming along. The Christmas tree will glow with lights. You?ll write Santa, bring me a bike. And I?ll sing you this Christmas Lullaby. In a season with magic unseen. And this lullaby to bid you good night. A song about the sentiment surrounding Christmas ornaments and all the memories they hold. Every year I put Christmas ornaments on the tree that span my life and it brings back wonderful, warm memories of my family and Christmas over the years. Ornaments, hanging on a Christmas tree so bright. Ornaments, represent the treasures in our life. All the memories we hold within our hearts. Ornaments, filled with so much peace and joy and love. Ornaments, all the hopes and dreams that we are thinking of. There?s no better place to be than where we are. Ornaments, delicate yet strong with sentiment. Time goes by so fast and then fades. Ornaments, hold moments in time just like a clock. I?ll remember the warmth they bring to my heart, Ornaments. This song talks about the Christmas that everyone wants to have. Frost around the window panes. Christmas time has come again, Noel. Cracklin? fires are burnin? bright. Families gather Christmas night, Noel. Christmas as it?s Meant to Be, Noel. A song about a mother sitting with her new baby in a rocking chair at Christmas. 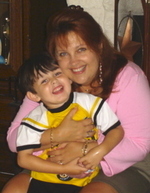 I reminisced about my first Christmas with my son, Matthew and wrote about all the feelings and memories. Full of wonder, full of peace. Love and hope are presents we share. Looking forward full of hope. Shows me love I?ve never known. With so much love to share. New Year?s Day, Christmas fades. Peace and joy are feelings we share. I know I?ve got all I need. Every night, the moon shines bright. Peace and joy beyond compare.